Vinyl floors offer a number of amazing benefits and yet, these advantages will only be achieved if they are properly adhered to the underlying surface. As you might have already imagined, not all adhesives are created equally. The main difference is that specific formulations are intended to be used with certain materials. This is why making an informed choice is critical if you hope to enjoy all of the benefits that vinyl has to offer. Let’s look at what to take into account when selecting the appropriate flooring adhesives for an upcoming project. This is a major concern, as there can be situations when projects need to be completed quickly (such as when dealing with public locations). Quick-drying formulations are ideally suited for such situations. 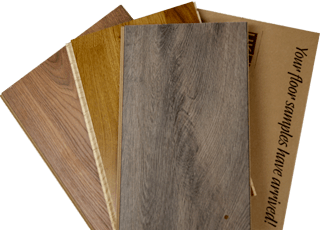 It should also be noted that this variety tends to be associated with less vinyl tile movement (known as slippage). However, keep in mind that quick-drying adhesives might place challenging temporal demands upon a project. Be sure to examine the specifications of the adhesive in question in order to determine whether these situations can be addressed. This is a final issue which needs to be highlighted. It is best to choose an adhesive that will not cause any stains. The top brands are also resistant to other conditions such as mildew and water damage. This will help to extend the longevity of the floor. In addition, can it be applied to numerous different types of sub-floors and what type of warranty is offered with the product? On a final note, try to determine whether the adhesive is formulated to be employed within high-traffic areas (if applicable). As we can see, there are numerous variables to analyse when choosing the best vinyl tile adhesive for an upcoming project. 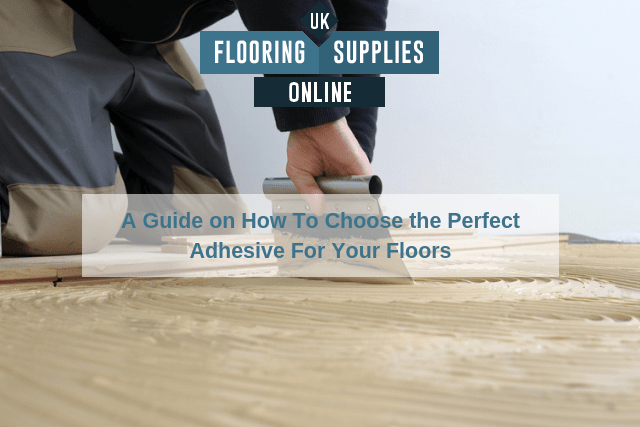 Not only does UK Flooring Supplies Online provide expert advice, but we work in conjunction with some of the most well-known adhesive companies in the business. F. Ball and Company and Tremco are two examples. If you would like to learn more, we will be happy to help.